Kids tend to follow the lead of their parents, meaning, if you find something fun, they often will, too. 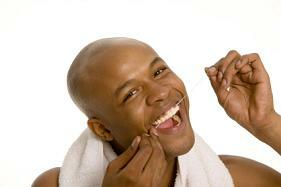 Flossing can be one of those activities if you take the time to make it an enjoyable experience. Start it while your child is young, and make it into something that you smile about each time you do it. If you are trying to figure out how to make flossing into something your entire family does, here are a few ideas. Read books about teeth that are age appropriate for your child. Make them fun, and do it regularly. That way, they see their oral health as something fun and happy, instead of something to fear. Make up songs to sing while you are flossing. You can use common tunes like Happy Birthday or even the alphabet, and just put silly words to it that all revolve around flossing. The funnier you make it, the more likely your kids are to remember it. Do it with them! Kids love activities that the entire family can enjoy at the same time, so make it an activity that everyone does at a certain time each day. If you can all floss together after dinner, for example, then you are all helping each other get ready for a good night's sleep. If you can go out of your way to show your kids that taking care of their teeth and gums can be fun, it will instill a love of doing it in their life for a long time to come. Just make sure that your routine is consistent enough so that your kids do not get used to things one way and then those things just stop without warning. Please contact us if you have any questions about flossing.